Simplicity is key. That is something that many car builders should embrace, in my opinion. Often you will see cars that are so modified, that you can’t even tell what’s going on. 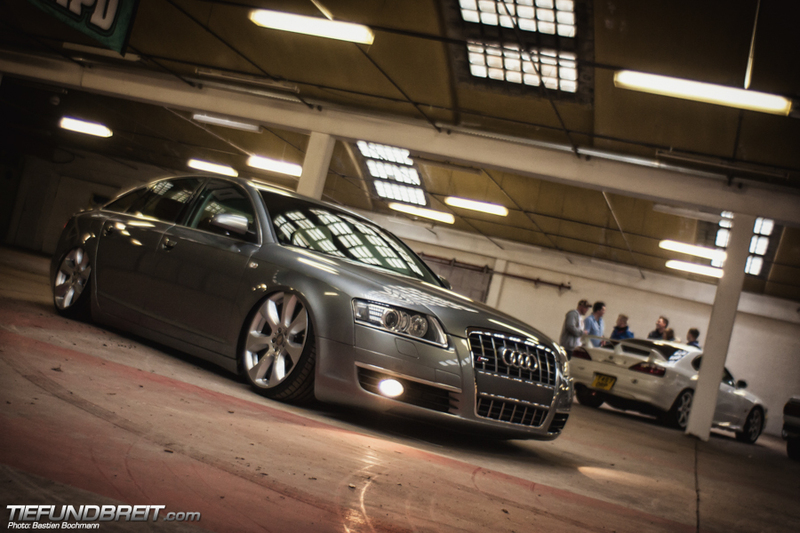 Not so on Nico Teschner’s Audi A6. A set of bags and some classy, simple wheels along some other subtle modifications help this car to achieve a big impact with simple methods. The car, aptly named the U-Boot (German for submarine) because of it’s ground hugging stance, can easily be dismissed on first glance as being TOO simple. Yet, this is actually what makes this car so cool, in my eyes. Instead of going for scene points with some Rotiforms for example like so many other Audi owners do, Nico went for a set of classy Mercedes Benz wheels from a GLK. The Benz wheels really match the flowing lines of the Audi’s overall shape. And they have some nice measurements as well – being 9.5×20, these are not your usual cookie cutter wheels. Wrapped in 245/30/20 rubberbands, they are perfect for this A6. The low ride height is, of course, achieved with a set of bags. The suspension is a Airone setup by Lowride Productions, complete with braided lines and Dakota Digital self leveling management. 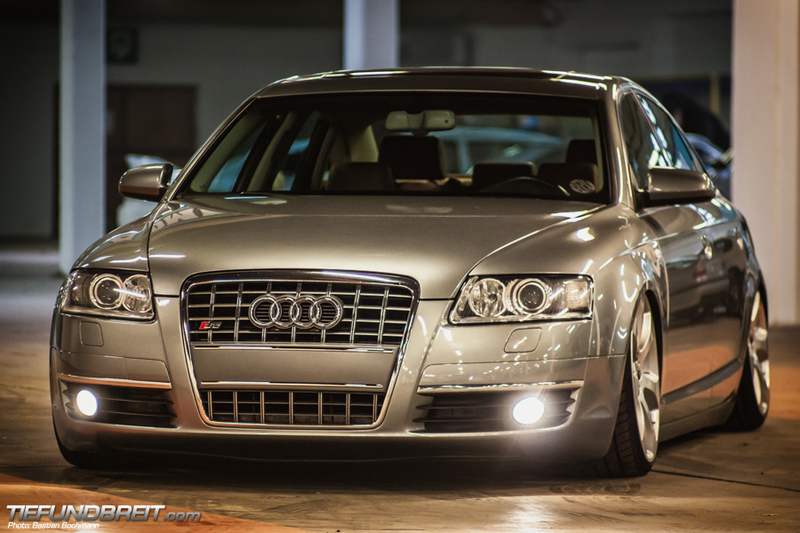 The front end was updated with a S6 front grille. A subtle modification, which most people won’t even notice. Not to be left alone, the rear end was completed using a US spec hatch, chosen for it’s smaller plate recess. Showing this off, Nico sourced a custom Florida plate with the car’s nickname on it. Style is not the only thing this car does well – it’s also an economic choice, seeing how it sports a 3.0 TDI engine. Looking great and offering affordable fuel mileage – what’s not to like? The inside was largely left alone – and really, I have to tip my hat to the Audi engineers here, as the Audi interiors are really very nice. 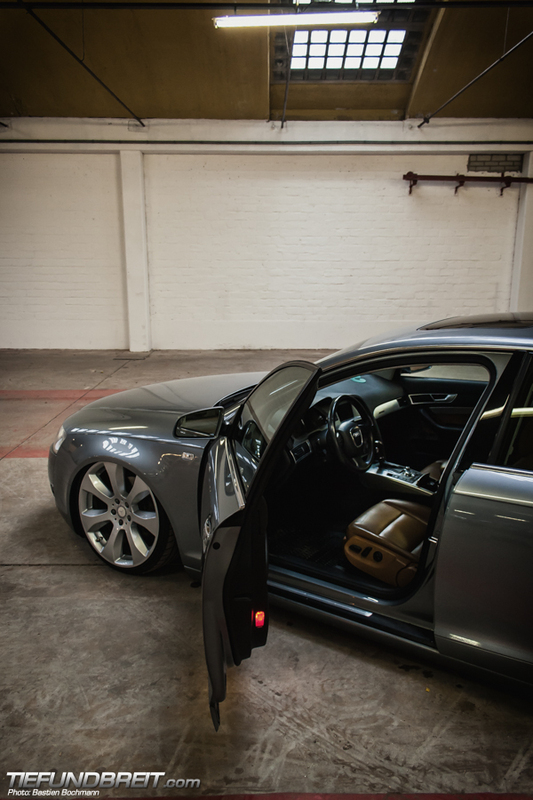 This example sporting a set of nice chocolate leather seats certainly looks inviting! Nico certainly managed to put together a really subtle and classy ride. Hats off, gentlemen! Look for higher resolution images on our Flickr!